Freelance writing is an attractive career for moms. In fact, many freelancers get their start by dabbling in the field after they have a baby and are looking for a way to earn an income and build a career while staying home to care for the baby. On the surface, you can hardly find a better fit than freelance writing for new moms. Freelancing allows you to stay at home and manage your schedule any way you see fit. It even allows you sit down and knock out a few sentences in the middle of the night when you’re wide awake from a feeding. These benefits are what all new moms who are interested in freelance writing hear. They’re real advantages, and they make all the sense in the world. What new moms don’t often hear about when they’re researching freelance writing are the inherent challenges of juggling the demands of an infant with the demands of freelance clients. The truth is that you will need a very careful plan and approach to managing your writing work if you are to reap all of those mommy benefits of freelance writing. If you’re ready to win at freelance writing while still winning as a mom, this advice will help. Juggling kids and your freelance writing work won’t always be a struggle—but sometimes, it will be. However, every freelance writer has ups and downs, so you’re not alone. When you have a new baby, you may have more of these days of struggle than you anticipated at first. In fact, you may have so many that you begin to question your plan completely. The best way to get through these times is to recognize them for what they are: rough patches. It is not the end of the world if your plan for writing for the afternoon gets derailed by a fussy baby or if your baby starts crying in the background in the middle of a phone interview. Give yourself permission to have chaotic days when you don’t tick off every item on your to-do list, instead of telling yourself that you’re in over your head. For many freelance writers who are new moms, simply freeing themselves from this kind of pressure can be a revelation. If you are building a freelance writing career as a new mom, you have a built-in niche to embrace. Every day, you’re doing things that could turn into the fodder for your next assignment. Take advantage of this by pitching stories about parenting, being a new mom, and working while parenting to a variety of publications. In addition to giving you the chance to turn your experiences into portfolio pieces and new revenue streams, writing what you’re living also makes things easier for you. You don’t have to invest time into in-depth research, which will let you fly through pieces faster than ever before. Help is available. Use it. Although some freelance writing moms like to bring in a babysitter when they have a major deadline and need to give their work their full attention, there are plenty of middle grounds to paying for childcare. For example, set up a childcare swap with a fellow mom friend. She can fill in for you while you get some writing done, and you can pay back the favor by watching her child so she gets some free time. Enlist help from your partner, being specific about the exact kind of help you need. If grandparents are close, there is a good chance they’re willing to pitch in with childcare any time they can. These tips make sense for any new mom, but they are especially helpful for freelance writers, who need those precious minutes to get work done. As a new mom, it’s unlikely that you will get hours to yourself to power through a writing project. Instead, you’re likely to have 15 minutes here and 30 minutes there in front of the computer. That can make you feel like you’re not making any progress, since you envision how long a project will take to complete, and short bursts of work aren’t making you feel like you’re closer to the end. Fight off this kind of stress by breaking all of your work down into small chunks, and putting those chunks on a to-do list. Start by figuring out how long your shortest work sessions are. Next, break every work project you need to complete into small chunks that can be completed during those short sessions. That way, you can sit down with your to-do list and start crossing things off, even if you only work for a short amount of time. If you have longer, simply work through more tasks until you need to stop. The psychological boost you will get from actually completing work will give you the confidence you need to keep moving forward. Although some freelance writers find it helpful to work very strict 9-5 schedules, for a new mom, that idea is out the window. Instead of trying to work during business hours, embrace the advantage of getting to set your own schedule. Of course, that may mean working late into the night when everyone else is asleep, getting up at the crack of dawn, or starting your day’s work at 6 PM. All of these things actually work to your advantage as a freelance writer. Getting ready to let go of business hours means that you can embrace the time you have with your baby and your commitment to your work without having to sacrifice one for the other. If you’re a new mom and a freelance writer, Writers Work is the right place for you. 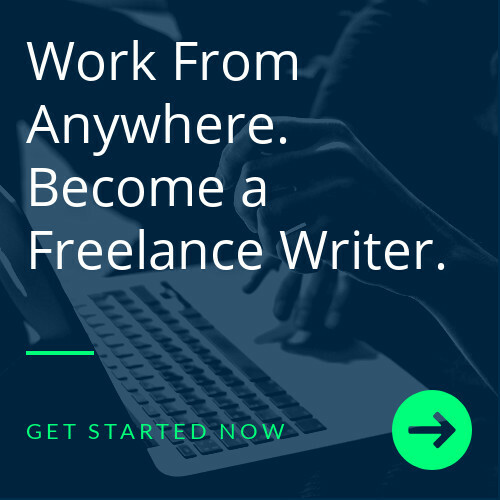 Writers Work makes being a freelance writer attainable for everyone, from experienced writers to moms who are new to freelancing. We provide an avenue for freelance clients and writers to find each other, an online portfolio where you can showcase your writing samples, and informative resources to help you get started. Join today to start taking advantage of these membership benefits and more.